With the October 17 legalization of recreational marijuana in Canada, everything about the emerging marijuana industry seems new – new companies, new investment opportunities, new stores and new regulations. But in Alberta it’s not all new. For nearly two decades, our subsidiary InnoTech Alberta, has run a successful research and development (R&D) program on cannabis at our Vegreville location. InnoTech Alberta’s Crop Development and Management team works with both industrial hemp, which has less than 0.3 per cent tetrahydrocannabinol (THC–the psychoactive substance responsible for the high) and marijuana (also known as high-THC cannabis). 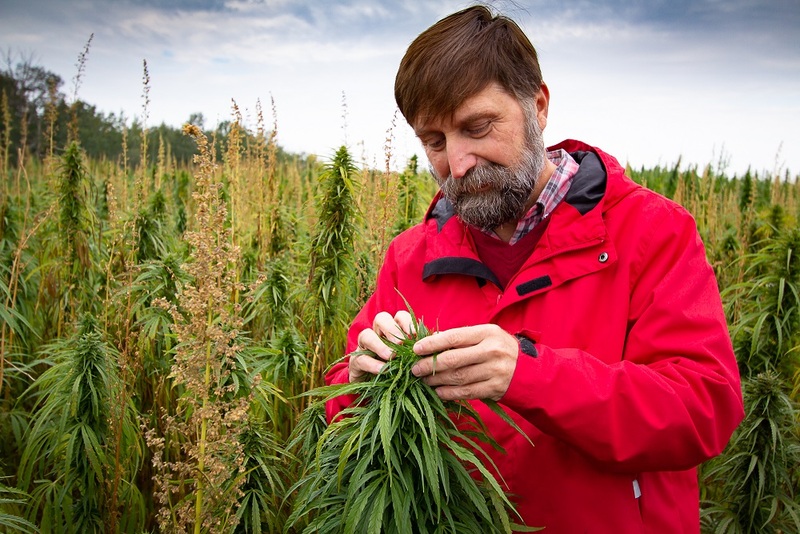 The team has provided long-standing support for Canada’s hemp industry, including testing of new varieties, hemp processing research and development of innovative products from hemp seed and fibre. On the marijuana front, InnoTech Alberta was the exclusive provider of bioanalytical testing for 13 years to Canada’s first legal producer and distributor of medical marijuana. Now, even more opportunities for R&D and service provision are opening up. Building on InnoTech Alberta’s history of testing medical marijuana, the Bioanalytical Laboratory in Vegreville is licensed by the federal government to test both industrial hemp and marijuana. The lab can test for moulds, mycotoxins (toxic compounds produced by moulds), bacterial contamination, pesticides and heavy metals. InnoTech Alberta is marketing these services to small- and medium-sized marijuana growers who generally do not have their own labs. There’s also market interest in InnoTech Alberta’s capabilities in cannabinoid profiling. Cannabinoids are a group of about 100 active compounds found in cannabis. THC is a cannabinoid, as is cannabidiol (CBD). CBD doesn’t deliver the high of THC but is the subject of intense interest because of possible health benefits. CBD is found in both marijuana and industrial hemp. By definition, industrial hemp has negligible amounts of THC. The Bioanalytical Laboratory can profile both marijuana and industrial hemp for ten important cannabinoids. Cannabinoid profiling can indicate the potential value of a crop well before it is harvested, which is useful information for growers. Regulators are turning to InnoTech Alberta for molecular profiling of cannabis. This technology can accurately identify hundreds of strains of marijuana. It will be a vital tool to help prevent an influx of illegally-grown marijuana into retail stores. Research is also underway on a technology to identify the place of origin of a cannabis sample based on its water isotope make-up. InnoTech Alberta has also been approached by marijuana growers to use the controlled environment facility in Vegreville for experiments on crop management practices to increase yield and reduce disease. Currently, industrial hemp is being used as a proxy for marijuana in these experiments; InnoTech Alberta is working with Health Canada to implement the security protocols required to grow marijuana in the facility. For cannabis regulators, processors and growers, InnoTech Alberta is in demand for many reasons: comprehensive facilities, capability to develop new methods, professional highly trained staff, and strong connections with industry. Cannabis is a flowering plant that contains a number of active compounds called cannabinoids. Tetrahydrocannabinol (THC) is the principal psychoactive cannabinoid. Cannabidiol (CBD) is another cannabinoid that has some psychoactive properties but does not deliver the high that THC does. High-THC cannabis is marijuana. Bill C-45, the Cannabis Act of Canada, comes into effect on October 17, 2018. It allows for the legalization of the production, distribution and sale of cannabis for recreational purposes. Low-THC cannabis is industrial hemp. It was legalized to grow in Canada 20 years ago and is used for food, fibre and an array of industrial uses. Both high-THC cannabis and low-THC cannabis contain CBD. 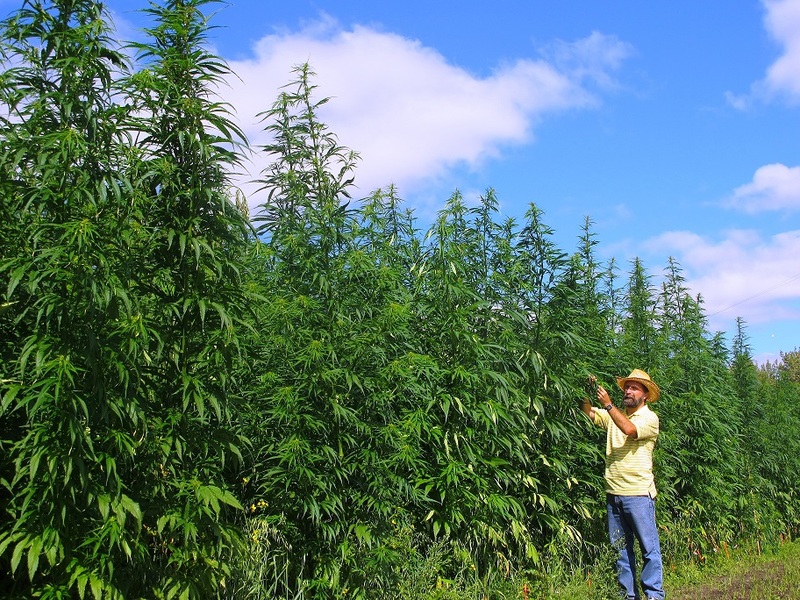 As of August 2018, licensed growers of industrial hemp can harvest flowers and leaves for extraction of CBD.